Freshly formed wings are doing the first tour as a band in 1972. However, even if it is said to be a tour, it was not a schedule prepared in advance, it was surprise like everyone to get on the bus, go around the universities around the UK, negotiate on the spot and perform a concert. It is not a commercial one, but rather has a strong personality to familiarize the new generation with the audience. At this point the album is released only “WINGS WILD LIFE”, and the same songs are played twice from the small number of repertoires, so rather than a full-fledged show, a traveling performer of a traveling performer It was such a taste. Then again again in the summer of 1972, Wings will be on a full-scale tour. This will be the first official tour. This tour was around European countries and was held in two courses in July and August. It should be noted here that the home country Britain is not included. Before and after the dissolution of the Beatles, I disliked Paul as a bitter British media, and dare to choose European lax criticism. It would have been thought that the band would lose confidence and atrophy if it gets criticized on the first tour. Because the strength of the band was probably the pro who Paul himself knew best. As far as I listen to the sound source of the 1972 European tour which is currently left, the direction of the band is not fixed, as well as the original song is weak, as well as there are no hit songs other than “My Love”, the band’s performance including Linda The skill probably has not reached the level that Paul had sought. It might be a trial in Europe before concert in the UK. Originally the purpose of Wings is to do live activities abandoned in the Beatles era and Paul must grow this band in a short time. Recording was performed vigorously in parallel with the tour. 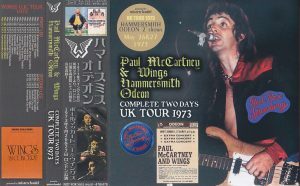 Paul has not known whether the former companion actively released the album, especially when George was releasing a major episode such as three sets, but at this time, Paul won two pairs as the next album of Wings I was thinking. In actual live songs that are scheduled to be recorded are also played even on live performances. 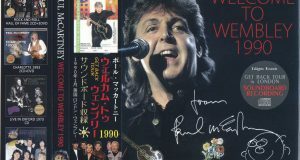 Although there are historically unpublished songs, as MC introduces “Next album songs”, Paul of this time was passionate about new challenges. However, since the previous work “WINGS WILD LIFE” was sailing miserably and it did not become a sort of sailing, Paul will be forced to compromise. First of all, it is to name your name to the band name. This changed “WINGS” to “PAUL McCARTNEY & WINGS”. And what was originally scheduled for 2 set was forced to condense into a single album. The record company also did not take risks. The result was “RED ROSE SPEEDWAY”. This album is still cited as one of Paul’s best masterpieces, “My Love” recorded the number one hit in the US, was honored as a masterpiece since “Yesterday”, and the second half medley reminiscent of Abbey Road As well as sales, it greatly exceeded the previous work. And Wings, formally Paul McCartney & Wings, will be on tour again as soon as this album is released. After Wings debuted, although he dared to repel Britain for a while, success in the UK which is big in entertainment market size is inevitable to raise the band to another level. Just like the Beatles stepped up step by step, like Liverpool, London and the United States, the success in the UK, it was not local as well and it was necessary to succeed in London, not local. At this point there are only two albums, but many original songs are complete. There are also hit songs. For the band, the success in the UK is a path that must pass through. 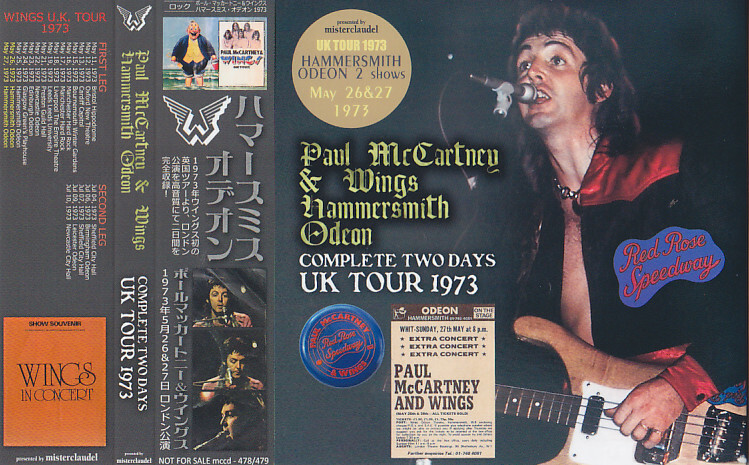 Meanwhile, from May 1973 it was the first UK tour to accompany the album “RED ROSE SPEEDWAY”. It is a small scale because it is a domestic tour only 15 performances only. The set list was short and one hour shorter. 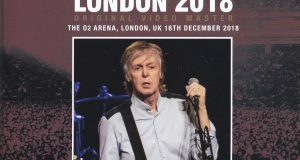 Even so, in addition to the album, various themes such as the theme song of the movie “They are the one who dies”, various groups of songs, and others “We are the hero of the village” Paul can be seen on the stage for the first time in a while since the Beatles era, It seems to have been a success. The tour is basically a performance in one city, except exceptionally in Manchester for two days. 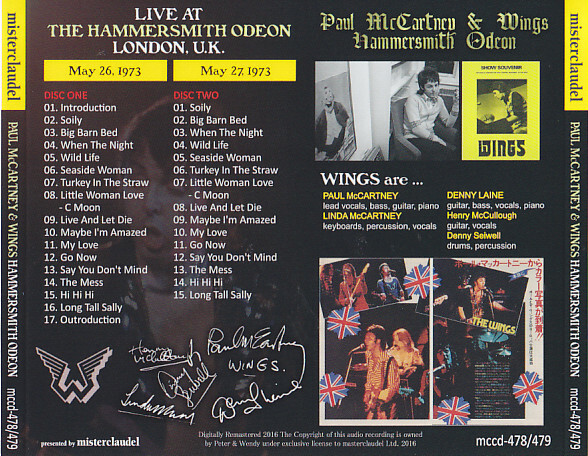 And the final day of the tour, full of riding London was Hammersmith Odeon. Let’s check the tour dates now. In the short-term UK tour, basically it was a day / night schedule of one city, day and night performance was organized by the city. And, the final performance place which has been performed extensively around the region widely and finally is London. It was like that it was a long rehearsal until then, attacking from the surroundings and getting in to the final performance place London. By this time the tour’s evaluation has already increased, and on the last day London was organized by 3 consecutive performances. And since SOLD OUT announcements are issued as early as three days, I can see how the fans of London were longing for Paul. This work has recorded concerts of May 26 and May 27 of the final day, respectively, from three consecutive performances of the final tour of this tour. The first song is the unreleased song “Soily”. 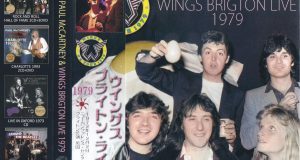 Many fans would have heard for the first time at “WINGS OVER AMERICA”, but it is said to be a different concert with such an unreleased piece brought to the opening. The performance is wonderful, with a sense of speed, as a result of weakening the blues color which had been a hobby of Henry, there is no loose atmosphere like 1972. Then “Big Barn Bed” “When The Night” is played from “RED ROSE SPEEDWAY”. It will not be played live again in the future, it is precious music only at this time. Of course Paul is taking main vocals, but Linda and Denny’s chorus are forced to demonstrate without mercy and this will lead to complicated chorus work such as “heart’s love song” later I guess. At this point Paul’s head should have seen the direction of the band “rock with chorus included”. 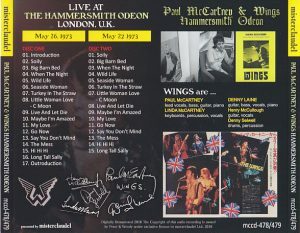 Currently, it is Paul ‘s intentional thing that Linda’ s chorus comes to mind when our fans recall the songs of Wings, and it is clear on live that Linda ‘s chorus is the wings. Although Linda was initially critically seen, “Seaside Woman” also received a favorable cheer. “Turkey In The Straw” is Danny Lane’s a cappella. It is a thing which can not be thought at the presently calculated and showed up now, but this will be a connection when Paul moves from the base to the keyboard. “Little Woman Love” is a medley and is played in a form that sandwiches “C Moon”. This was followed by the later 1975 tour, “C Moon” was played alone for the first time in 2002, but “Little Woman Love” has never been played alone yet. “Live And Let Die” is still one of the highlights of concerts, and there are many people who remember the production of fire pillars with loud sound. But at this point, there is no such production yet, the ending is different from the present. “Maybe I’m Amazed” was originally written with Japanese title as “Melancholy of love”. In “WINGS OVER AMERICA” it became a popular song from this live version as the title changed to “whispering of heart”. It is still an important repertory of Paul’s stage as a grand song of piano. However, at this point in 1973, the tempo is relaxed with the performance of “Melancholy of love”, and the impression changes dramatically because the performance is performed more than anything else, not piano. It is not an exaggeration to say that it is the early version of “Maybe I’m Amazed”. The following “My Love” is played not by a piano but by an electric piano. Like the studio version, there is no orchestra in it, but this is the closest performance to the original, it is a precious arrangement that I can not listen now. Interlude guitar solo showcasing Henry’s first-class performances is almost a complete copy of the studio version, and it’s exactly like this solo. It is a wonderful solo whose breasts are high as long as you can hear it, no matter how many times you listen. “Go Now” and “Say You Do not Mind” are two songs sung by Denny Lane. In terms of Stones, I told Keith ‘s turn. And the concert is entering the calm. “The Mess” is a live version in The Hague only released as single B side, yet the studio version has not been announced yet. A violent riff and a heavy drum make up the audience. In addition, it continues playing “Hi Hi Hi” which was banned for broadcasting so as to be convoluted. Recent Paul is also playing at the stage encore, but this is a performance and singing by the same person 45 years ago. It is “Long Tall Sally” that concludes the concert. Guitar solo is played to take the first key, and the shrill vocal explodes to the fore as a burst. I guess there was recognition that Beatles’ song is still being sought at the time. In order to respond to the needs of those audiences, it was probably the biggest concession Paul could do to cover songs played in the Beatles era. Even so, Paul ‘s vocals are exhausted as a tremendous word. To be rude and young, it makes me think it’s just great. It’s as nostalgic as the new “hidden sari” like playing the vocals of the Beatles era in the performance of Wings. LIVE AT THE HAMMERSMITH ODEON LONDON, U.K.